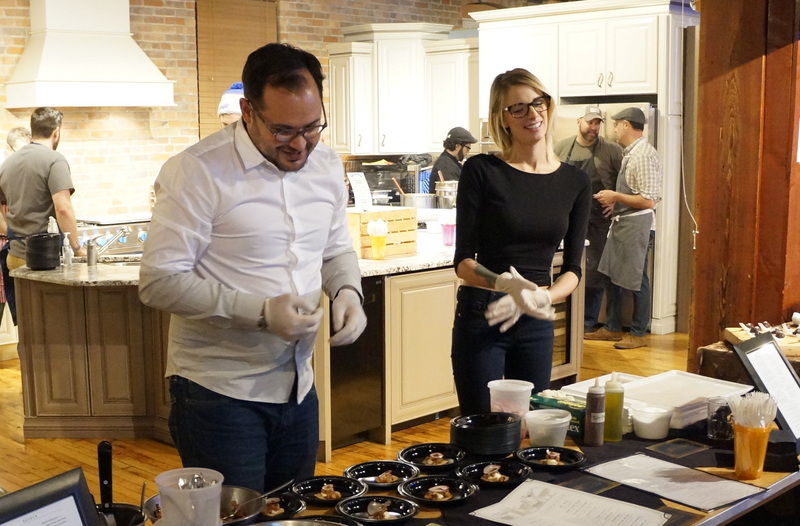 Five of Buffalo's talented young food and drink professionals plan to pool their talents in a small restaurant that would be part of Rocco Termini’s Chandler Street redevelopment in Black Rock. The partners signed a lease for 27 Chandler St., an agreement contingent on securing a bank loan, which is not yet approved. Although it’s not a sure thing, the planned restaurant is notable because of the people involved, and the unusual cooperative organizational structure they are contemplating. Edward Forster (whose resume includes Mike A's at the Lafayette, Buffalo Proper, Dapper Goose), Joseph Fenush (Toutant), Jessica Railey (Dobutsu), Tony Rials (Mike A's, Bourbon & Butter, Billy Club), and Jeff Yannuzzi (Toutant, Community Beer Works) will be equal partners in the prospective venture, Forster said. Their current plan is to be the only workers, except for a dishwasher, Forster said. This is their plan: If you have something to eat, Forster or Fenush will make it and serve you. If you have something to drink, Railey, Rials, or Yannuzzi will have selected it, or made it. They are determined to try that structure to combat difficulties in the current standard restaurant structure, Forster said, including laws requiring differing pay structures for servers and cooks, and the difficulty of finding dedicated co-workers.